Several dozen British troops have arrived in Juba, capital of South Sudan, to provide engineering and medical support to the United Nations Mission in South Sudan (UNMISS) and to help ease the delivery of humanitarian aid, the mission said on Tuesday. “The Royal Engineers will conduct tasks at the UN Camps to improve accommodation, routes, security and drainage, as well as the construction of a jetty on the River Nile and a helicopter landing site,” UNMISS said in a statement. 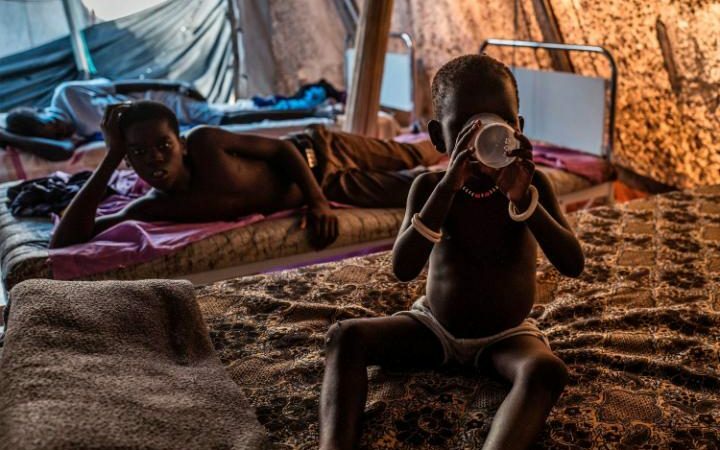 South Sudan, the world’s youngest nation, plunged into civil war in 2013, just two years after independence from neighbouring Sudan, after President Salva Kiir fired his deputy Riek Machar. The Ministry of Defence said 35 troops had landed to bolster a more than 200-strong deployment of British personnel already in the country. That number will rise to nearly 400 in the coming months, making it one of the Britain’s largest operational deployments. The conflict has split the nation along largely ethnic lines and the United Nations has warned of a possible genocide. More than 3 million people have fled their homes out of a population of 12 million. The UN has declared a famine in some parts of the country and nearly half its population face food shortages. Up to 100,000 people could die here, according to aid workers, with nearly five million more going hungry across the country. Last month a 350-strong Japanese military contingent started withdrawing from South Sudan after a five-year deployment during which it mainly helped with infrastructure construction. Britain is South Sudan’s second biggest aid donor, giving around £100 million a year. But the UN says it needs $1.6 billion (£1.3 billion) this year alone.